Have you ever had a wonderful dream, a dream so powerful it rolled across the landscape of your life like a thundercloud, obliterating the sunshine? A dream so magical that you woke with a sense of regret and longing? A dream that made you sit up, look around at your life, and find everything wanting? I have had those types of dreams. Growing up the only child of a single, working woman, I spent a lot of time by myself. Besides getting into mischief, I liked riding my bike to the library, an old brick building with creaky wooden floors and sunlit filled window seats. I would grab a pile of books and magazines and sequester myself in a distant alcove. It was in that library my love affair with Hawaii began. 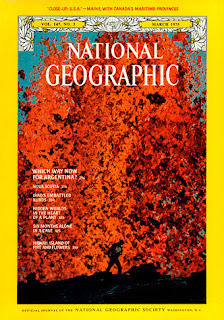 One day, while flipping through the pages of the latest National Geographic, I came to an article about Hawaii's volcanoes and how they helped shape the island's lush landscape. I gazed at pictures of black sand beaches and thick tropical jungles and felt something stir inside me. 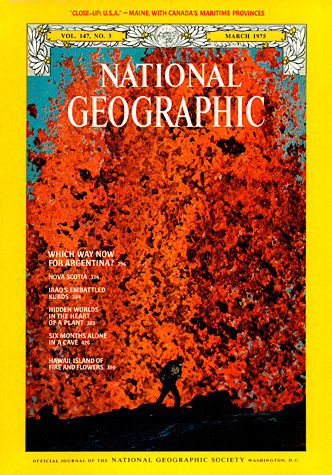 That article transformed me from a mid-western kid with a narrow, myopic view of the world to one who suddenly realized there was a big, beautiful world beyond the buckle of the industrial belt. When I was a teenager, I saw the movie From Here to Eternity. Set in Oahu, it is an epic romantic drama starring Burt Lancaster and Deborah Kerr. For those of you who have not seen it, Burt Lancaster plays an Army First Sergeant who falls in love with his commanding officer's wife, a lonely, neglected woman who longs for romance. 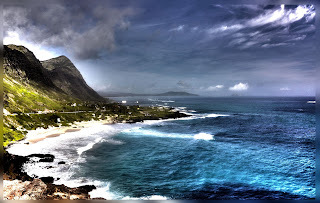 Just as volcanoes shaped Hawaii's terrain, From Here to Eternity shaped my expectations of Hawaii. Watching Burt Lancaster and Deborah Kerr roll around in the surf, kissing each other with abandon, planted seeds of longing within me. I wanted to visit Hawaii and experience my own epic romance. As I grew into womanhood, I nurtured my dreams of Hawaii. I imagined myself rolling around in the surf with a man who passionately loved me. I imagined us sitting on the sand in some secluded, rocky cove, sipping champagne or Mimosas, and watching the sun dip below the horizon. I imagined him leaning close, whispering in my ear, "The sunset is beautiful, but you take my breath away." And always, always my dreams end with us exchanging a soft kiss that lingers until we are robbed of breath. There is no way to make them last. At some point, you must wake up and leave your magical world behind. Powerful dreams - those that roll across the landscape of your life like a thundercloud - can obliterate your sunshine and make it difficult for you to appreciate the life you have. I have visited Hawaii half a dozen times. I have frolicked in her waves, stretched out upon her silken sands, inhaled the sweet scent of her flora. Each time I departed, I took with me countless happy memories - memories I will carry with me to the end of my days. ...Hawaii has not lived up to my expectations. I never experienced that epic romance - the one that had me capriciously rolling around in the surf with my lover or sitting quietly beside him as the blanket of night fell upon us. It always confused me - the dissatistfied feeling I would have upon departing the island. In words more eloquent than I could ever hope to pen, Epicurus reminds me that, while it is good to dream, I should not let my dreams keep me from appreciating my reality. Perhaps one day all of my Hawaii dreams will come true. Or perhaps they will remain the elusive images that keep me moving, hoping, reaching for more. Knowing when to give up a dream is a tricky business. Frankly, I would tell you to never stop dreaming. Hold on to your dream. Thank you Jennnifer, but I did not mean to imply I am giving up dreaming completely. I just am learning to put things in perspective. When dreams overshadow reality, it causes suffering and disappointment. I am continuing to dream without letting it ruin the reality. Thank you for reading. I always appreciate your comments. Hugs! I feel the same way about the ending of From Here to Eternity. I hate it when Deborah Karr's character walks away because it proves it was just tawdry affair. Poor Deborah just wanted to be loved but she picked the wrong men. I always love your blog posts and Tweets Leah Marie. You make me think and/or laugh everyday. Thank you for your kind comments and for RTing my tidbits. In my heart, I know Burt was not really in love with Deborah. He merely wanted to enjoy the thrill of the chase. The hopeless romantic in me wishes things would have been different for them.